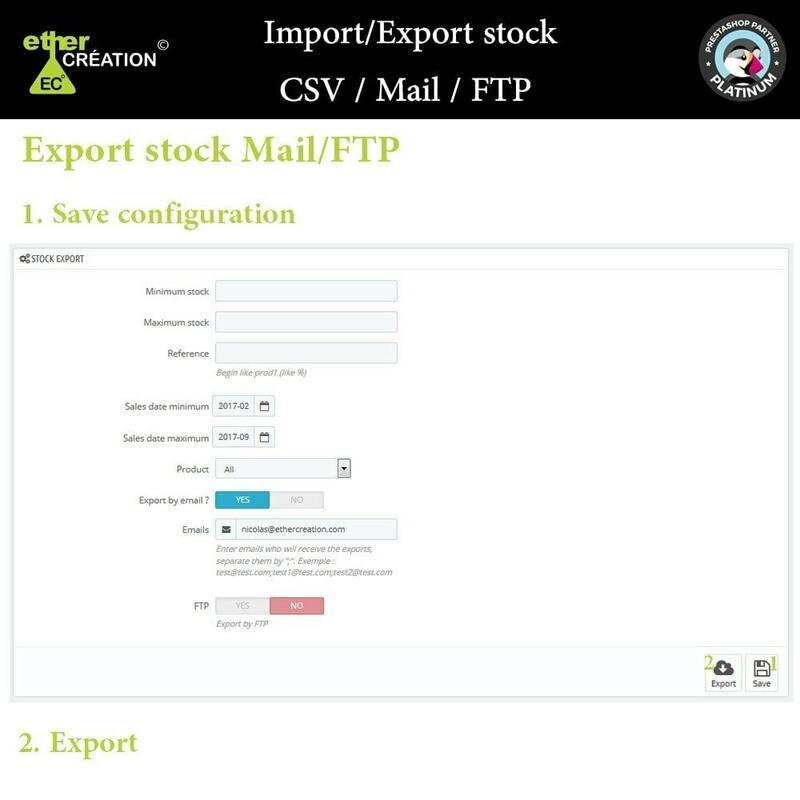 This module will allow you to export / import your stock in bulk.Tested on over 100,000 products.This module is essential to be able to manage the stock of your shop in a few clicks. 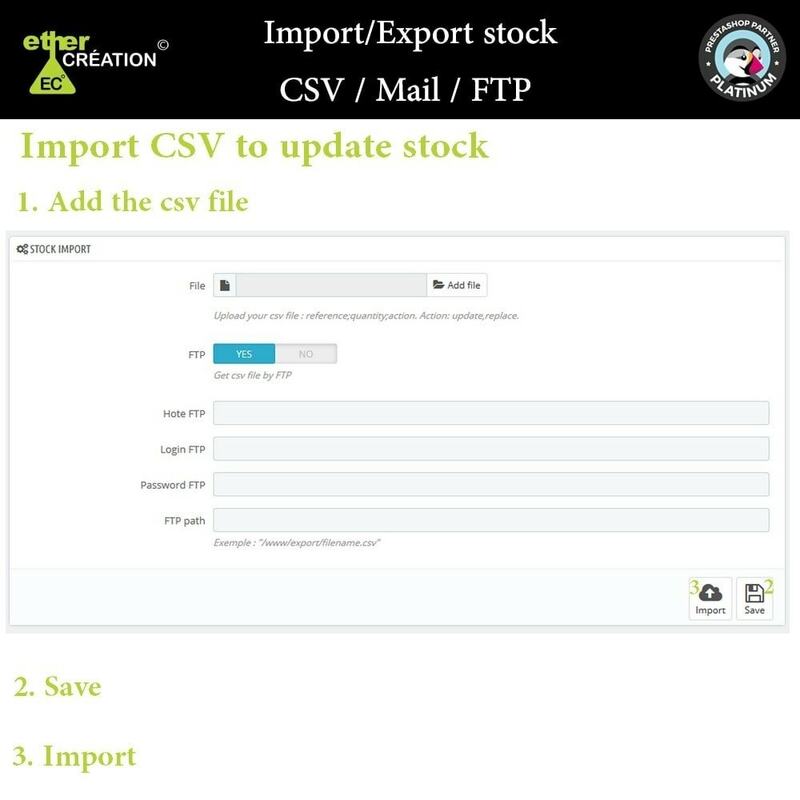 With Ec stock, you will be able to update the stock of the products of your shop directly by CSV file (tested with CSV including 100 000 products). 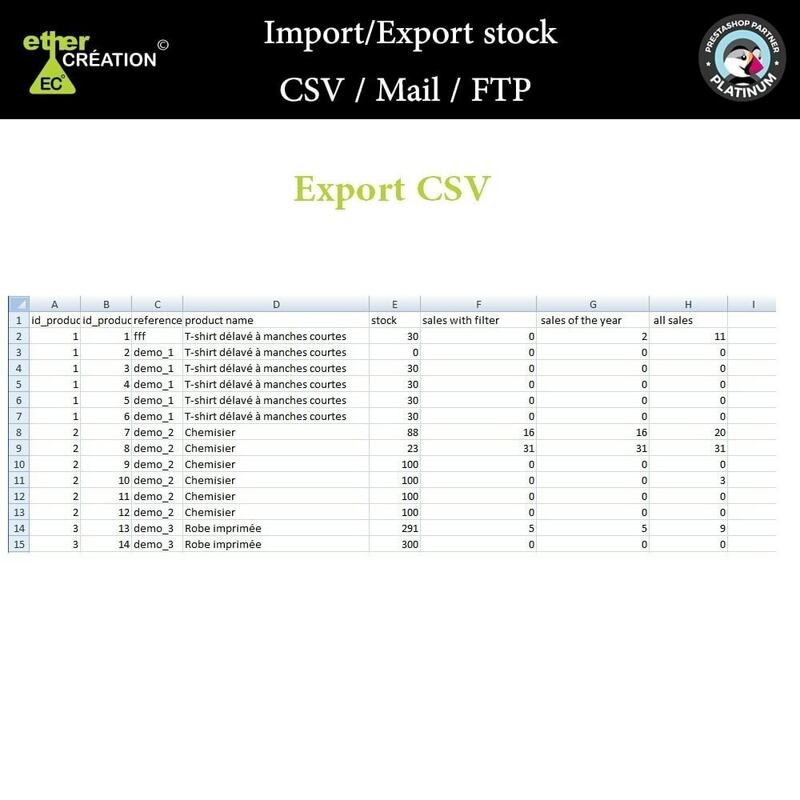 You can either add your CSV file directly from the module or retrieve it on an FTP server. 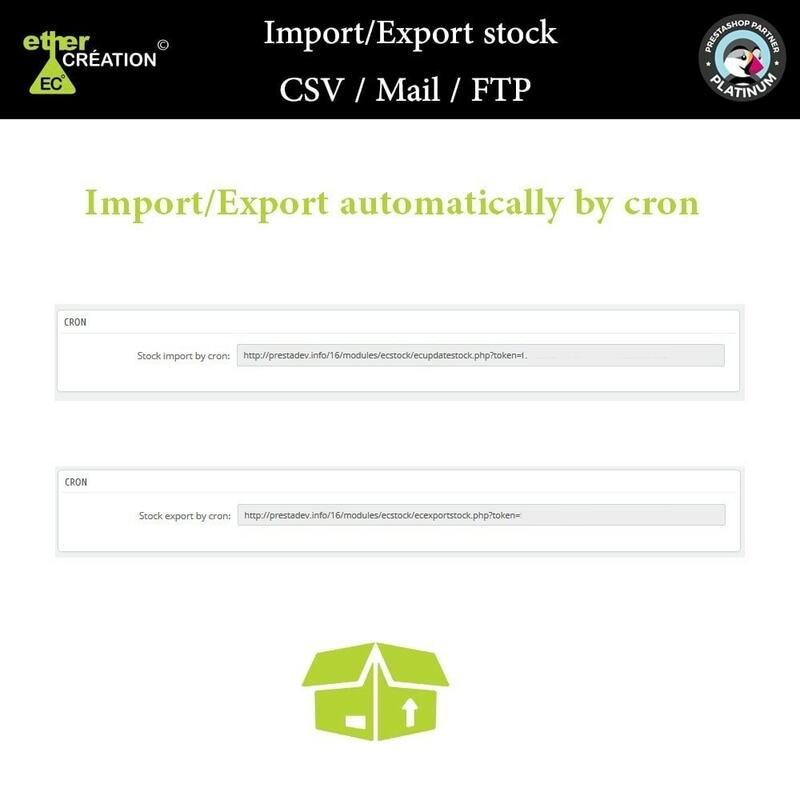 The import / export can be done automatically by cron task.